← HURRY! PLACE YOUR ORDER BY SUNDAY, JUNE 10! 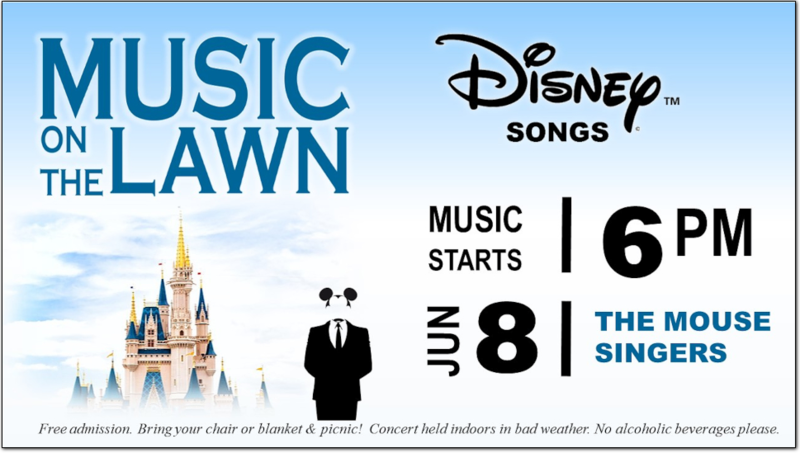 Local singing group The Mouse Singers, featuring the Poplar Bluff Library’s own Kolby Sowell, will perform a musical tribute to the familiar songs of beloved Disney™ movies! Bring your chair & blanket and picnic in the library’s unique Sensory Garden on Friday, June 8 at 6 pm. In bad weather, the concert will move indoors to the Library Theater.